When I look back in the past, I see many excellent programming blogs I have followed for years. Some of them are not active today and some have just changed their focus of writing to other things that are not so interesting to me. So I decided to create up-to date list of my favorite programming blogs based on quality of blog posts and blogger activity in last 2-3 years. 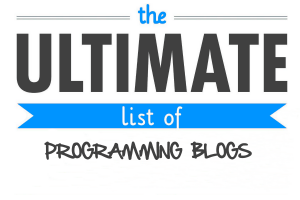 Here is My Ultimate list of programming blogs in no particular order that I recommend you follow immediately. 1. Rick Strahl. President of West Wind Technologies. Writer, speaker, co-publisher of CODE Magazine, C# MVP. 2. John Sonmez. The founder of Simple Programmer, a Pluralsight Author and Programmer, focused on making the complex simple. 3. Filip Woj. Microsoft MVP (ASP NET), .NET developer and all that, blogger, OSS contributor, HTTP fan. 4. Alex Young. Web application developer with a background in bespoke content management and document management systems. Expert ruby on rails developer. Owner of Helicoid. 5. Scott Hanselman. Programmer, teacher and speaker. He works in Open Source on ASP.NET and the Azure Cloud for Microsoft. 6. Swizec Teller. He is a geek with a hat. He focuses on fixing spaghetti code produced by the rapid pace of early-stage startups and helps young teams hit their targets. 7. Mike Taulty. 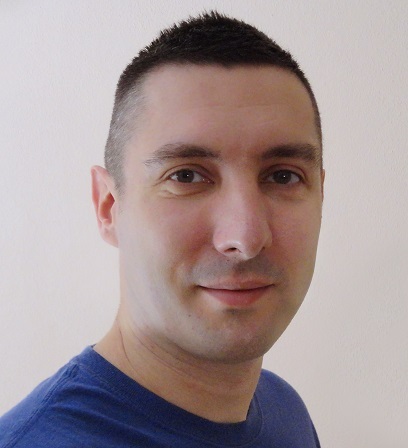 He works in the Developer and Platform Group at Microsoft in the UK where he has spent the past few years helping developers understand and get the best from the Microsoft platform. 9. Iris Classon. She is an appreciated speaker, writer, blogger and Microsoft C# MVP with a tremendously passion for programming. 10. Darrel Miller. Runscope Developer Advocate. Web APIs, Hypermedia APIs, REST based LOB systems are his area of expertise. Microsoft Integration MVP. 11. Alvin Ashcraft. Software engineer specializing in Microsoft technologies, specifically the .NET Framework, C# and SQL Server. 12. Derick Bailey. He is an entrepreneur, problem solver, software developer, screencaster, writer, blogger, speaker and technology leader in central Texas (north of Austin). 13. Jimmy Bogard. Technical architect with Headspring in Austin, TX focused on DDD, distributed systems, and any other acronym-centric design/architecture/methodology. 14. Scott Allen. He has worked on everything from 8-bit embedded devices to large scale web sites during his 15+ years in commercial software development. Professional speaker, Pluralsight course author and book author. 15. Raymond Chen. A programmer at Microsoft Corporation, Chen has been involved in the evolution of Windows for more than a decade. 16. John Papa. He is a well-known technology expert and professional conference speaker, book and Pluralsight course author. 17. Tugberk Ugurlu Web guy and software developer specialized mainly on .NET Web technologies including ASP.NET Web API, ASP.NET SignalR, ASP.NET MVC, OWIN, Project Katana, etc. Feel free to suggest additions to the list in the comments below. ScottGu is legend however he lately publishes only one post per month and less not too much programming related so I decided to skip him from my list. Not one blogger of these is a professional PHP blogger. Most are Microsoft bloggers. Any good PHP blogger that you recommend? Thanks for comment. I am not following PHP community a lot. Actually I only do WordPress from time to time. So I can only recommend WPBegginer as WordPress blog. Feel free to suggest some good PHP bloggers. Dude where is Martin Fowler; Greg Young and Eric Lippert? You are missing some heavy weights. That said its a good list. Hey Stephen. I have just forgot to include those 3. Actually it is very hard to cover all valuable bloggers so your comment is much appreciated. I recently launched Unexpected Token: https://medium.com/unexpected-token on Medium where CTOs from startups share their experience and knowledge. It’s not focused on a specific technology and has great pieces on either programming challenges or sometimes management/strategy/recruitment. (full disclosure: it’s powered by my company eFounders – startup studio) – I’d love to get your feedback! Thanks for all these latest and useful links, Followed all the links your provided. Thumps Up!! Nice Article Thanx For sharing..
NICE INFORMATION I WAS SEARCHING FOR THIS THANKS FOR SHARE ….. Superb and fair post, I discovered this much instructive, regarding what I was actually hunting down. A debt of gratitude is in order for such post and please keep it up.